Description This bubble chart illustrate the relationship of murder rate with life expectancy and median family income. 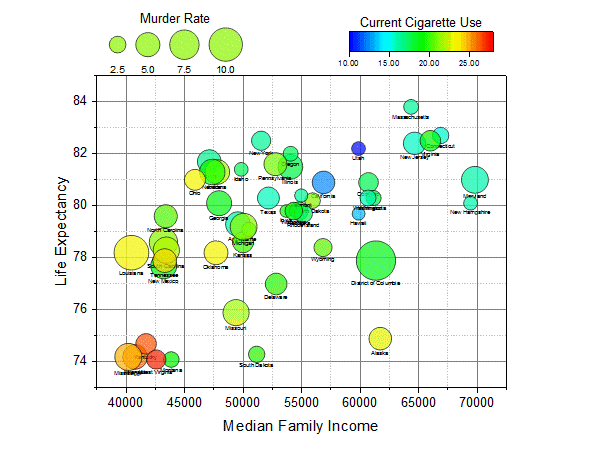 While the quantity of Murder Rate, is represented as the size of circle, Current Cigarette Use is displayed on the bubbles in the form of colormap. A bubble scale object is added to this graph to display the size of the data point.